Amanda began her studies of Holistic Medicine in 2007 at Wild Rose College where she became certified in Reiki and Reflexology. It was shortly after that, during a trip to South East Asia, that she fell in love with Acupuncture. And from there, decided to pursue a career in Chinese Medicine. Amanda graduated from the Canadian Institute of Traditional Chinese Medicine in Calgary, Alberta in 2012. After completing her training she traveled to Shandong, China to partake in a three-month hospital internship. Amanda uses Traditional Chinese Medical Theories to create treatment plans that are unique to every individual. With a focus on Chinese herbs, Acupuncture and Nutrition, Amanda assists the body’s natural healing response by readjusting imbalances brought on by stress, diet and lifestyle. 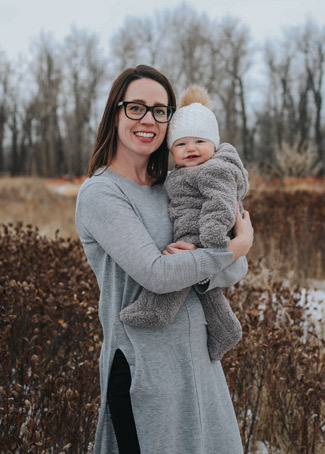 Amanda is passionate about internal medicine and specializes in treating women’s hormone health, mental health, fertility, and pre- and postnatal care.